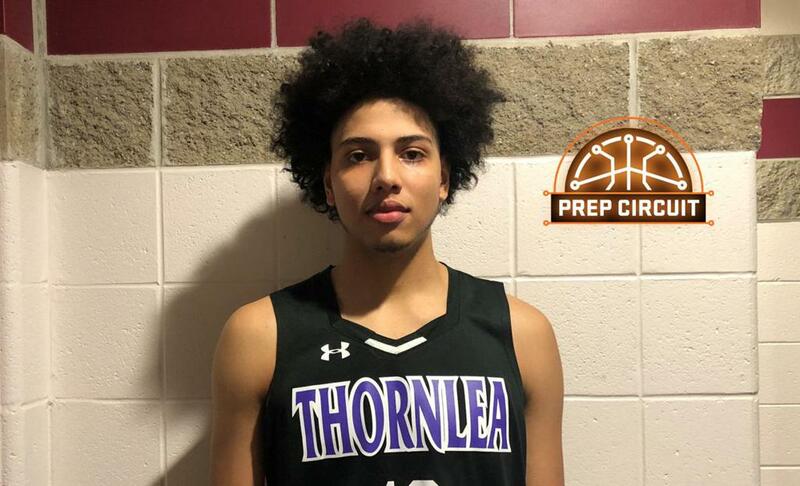 Class of 2020 wing Cashius McNeilly from Thornlea Secondary School (CAN) had an impressive 17 point performance against Redemption Christian Academy. McNeilly talked about his performance, the latest with his recruitment and more with Prep Circuit. Q: You started things off rough, but turned it around in your second game here. What was it like finishing off this event the way you guys did? Q: People have been familiar with you for quite some time now. How would you say you have developed since eighth grade? Q: Which schools have been the most active with you in your recruitment? Q: Your uncle is an assistant coach at Virginia Tech so you obviously are very close with that program. What do you like about that option? Q: What do you like about Providence? Q: What stands out about Wisconsin? Q: How is your relationship with Maryland? Q: When are you looking to take the next step with the recruiting process? Q: What is going to separate one school from the rest?